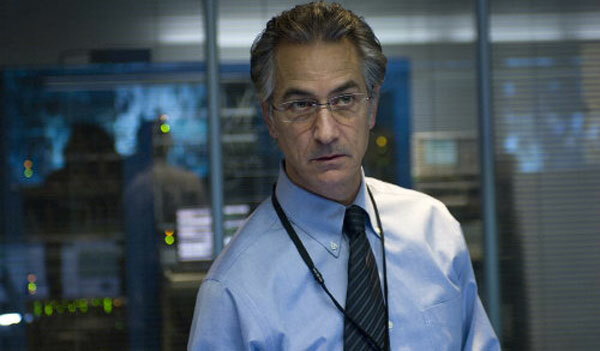 One of my favorite underrated actors is the great David Strathairn. The 53-year-old San Francisco native has more than 100 acting credits and continues to surprise. He's currently starring in the TV series Alphas on the SyFy network and brings a lot to a possibly conventional role. Strathairn has appeared in a good number of indie films and works frequently with John Sayles. 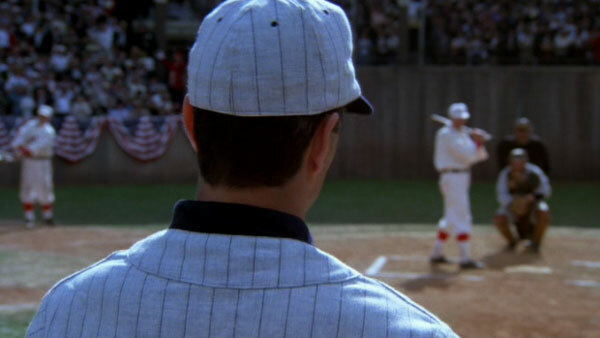 He's also given memorable supporting performances in mainstream films like Sneakers, The River Wild, and A League of Their Own. He did excellent work in an interesting role on The Sopranos as Robert Wegler, a possible love interest for Carmela. While the writers gave that guy an unfair send-off, he made a distinct impression. I've been admiring Strathairn's work for a long time, so it was refreshing to see him get an Oscar nomination for his lead role in Good Night, and Good Luck. He'll appear next as Secretary of State William Seward in Steven Spielberg's Lincoln, and that part should bring even more interest on this veteran actor. My choices below offer a good starting point for exploring Strathairn's work, and these just represent a small portion of his excellent career. 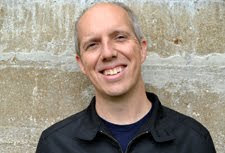 Straitharn's supporting role in the third Jason Bourne film is a perfect example of the type of mainstream role where he excels. He brings weight to the stock character of the government bureaucrat who will do anything to protect his interests. Vosen has no problem giving orders to kill anyone who poses a threat. The reason he's such an effective character is because Straitharn underplays his villainous intentions. It's clear that he's hiding something, but he doesn't immediately scream "bad guy" like Brian Cox or Chris Cooper. I'd love to see him to mix in more roles of this type with lead parts in indie films once Alphas is inevitably cancelled. One of John Sayles' forgotten films is the wonderful little drama Passion Fish, which chronicles the return of a soap opera actress to her hometown in Louisiana after a crippling car accident. Strathairn plays a smaller role as Rennie, a local who starts a relationship with Mary McDonnell's lead character May-Alice. He's completely believable as a small-town guy who represents her earlier life. McDonnell and Strathairn have excellent chemistry and are an interesting couple. The acting is excellent across the board, particularly from Alfre Woodard as a nurse dealing with May-Alice's demanding personality. 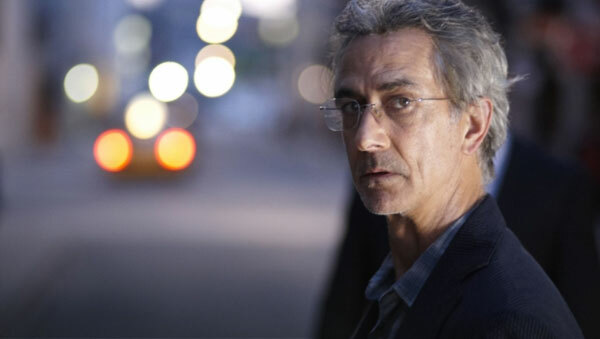 When I think of the right actor to play a slimy pornographer, the first name that crosses my mind is not David Strathairn. That makes his success in this role even more remarkable. Sporting a thin mustache and dapper clothes, Patchett isn't the typical heavy that might see in a crime film. He's involved in nefarious activities like prostitution, but he isn't the man pulling the strings behind the scenes. Instead, he's a clever guy who's working solely for his own ends. In just a few scenes, Strathairn conveys that approach with style and makes Patchett a memorable character in a movie filled with them. John Sayles' adaptation of Eliot Asinof's book about the Black Sox scandal includes a strong cast of young talents early in their careers. John Cusack, Charlie Sheen, D.B. Sweeney, Michael Rooker, and others play the Chicago White Sox players banned after the 1919 World Series. Strathairn plays Eddie Cicotte, a starting pitcher who throws several games after being stiffed by the cheap owners. He's just part of the ensemble cast but stands out as one of the most interesting characters. Although his behavior in not giving his best is sad, we understand the conditions that push him to compromise his integrity. 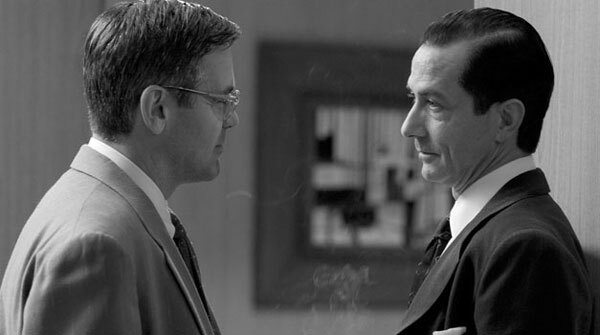 This performance could easily be my top pick and is Strathairn's most recognizable performance. The George Clooney film is an actors' movie and takes a subdued approach to the conflict between Murrow and Joseph McCarthy. Its stunning black-and-white cinematography provides just the right tone for the period. Strathairn does a great job as the lead and shows the difficulties faced by the famous journalist when he battled the nasty senator. It's a remarkable movie that remains underrated despite the six Oscar nominations. 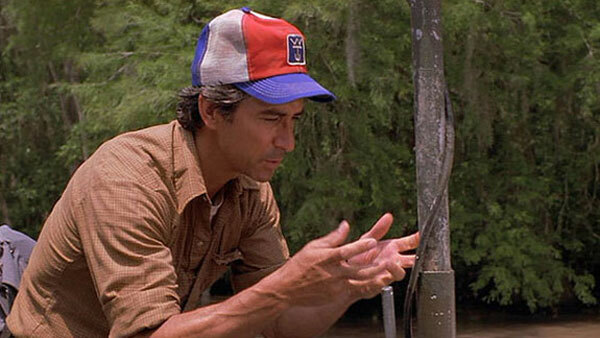 I'm a huge John Sayles fan, so it says a lot when I proclaim Limbo as my favorite of his films. It portrays a believable Alaskan community that's struggling to stay afloat, then morphs into a personal tale of survival. Strathairn is brilliant as Joe Gastineau, a worn-down handyman who's still dealing with tragic events that happened a long time ago. He starts a relationship with Donna (Mary Elizabeth Mastrantonio), a single mom who sings at a local bar. She's struggling to raise her teenage daughter Noelle (Vanessa Martinez) and keep her career afloat. Along with Joe, they form an interesting trio who bond while trying to stay alive. The slow-moving story works because the actors create engaging individuals. Strathairn sells the reluctant side of Joe that's only grown during the recent years. He needs Donna as much as she needs him, and this bond only grows when they're facing dire consequences. Nice to see some other people love David Strathairn as much as I do. Also love Sayles, McDonnell and Woodard. They're always great together. I agree. I'm a big Sayles fan, so Strathairn's been on my radar for a while. It's been great to see him get so many great roles in recent years. I was hoping L.A. Confidential would appear, that's probably my favourite of his performances. I'd never heard of Limbo before, but I've added it to my To Watch list, thanks for the recommendation. Jay, I'm glad to hear that you're going to check out Limbo. I like it more than most, but it's definitely worth checking out. The main reason his L.A. Confidential role wasn't even higher was the size of the part. Still, it's a great performance! I haven't seen Passion Fish, Eight Men Out, or Limbo yet, but I love that you included Bourne, Good Night, and L.A. Confidential. He's also great in Blue Car and My Blueberry Nights. I really need to see more of his work though. Josh, I considered My Blueberry Nights but ended up leaving it out because his role was a bit too small. I agree that he's great in it. I haven't seen My Blue Car yet. I'd definitely suggest you check out any and all of the three you've missed. You won't be disappointed. Thanks Stephanie! I think Limbo is definitely worth seeing, especially for the performances. I've never even heard if Limbo but I really like his acting. Love him saving the day in The River Wild too, but agree it's much more supporting than the others. It's his voice. Amazing. Jess, you're totally right about his voice. It's distinctive yet he seems to be able to play a wide variety of characters. If you like his acting, I'd recommend that you check out Limbo. I thought he did a good job in Dolores Claiborne playing a complicated character. The fact that he was one of the few actors in a movie to get the Maine Downeast accent right is points in his favor, too. I think one of his biggest strengths is his versatility. He's able to switch between a variety of characters and accents and make it look flawless. His performances usually aren't flashy, but they pretty much always work. Solid list here, LOVE David Strathairn. A few of your top picks ended up on my Strathairn shortlist as well. I should really watch Limbo again. Thanks Alex! Your post about him was excellent. I've watched Limbo a bunch of times, but it's been a few years. I also need to check it out again.